I aim to work closely with clients in a supportive, safe therapeutic relationship. We will gradually endeavour to settle your current presenting concerns while also exploring the origins of these symptoms. Heath Group Practice has a comfortable, warm and inviting atmosphere that clients frequently report feels calming. Heath Group Practice is a private practice in Edgecliff providing therapy to couples and individuals with a wide range of psychological issues. We work with adolescents, couples and adults offering both short and long term therapy options according to individual needs. I work primarily within a Psychotherapeutic framework, also drawing on other modalities when needed. Sometimes we may use Dialectical Behaviour skills as tools to help settle distress and regulate emotions before moving onto exploring the origins of the distress. Since much of the work I do involves working with clients to heal past developmental trauma and its impact on one's current life, I am guided by the work of traumatologists such as John Briere, Bessel Van der Kolk and Judith Herman. 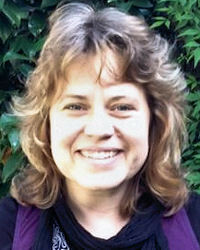 Jace Cannon-Brookes has worked as a Clinical Psychologist (PSY0001301325) across private and public settings. Her work has covered bereavement services, eating disorder units, and acute and general psychiatry. Jace has also completed the intensive Dialectical Behaviour Therapy (DBT) training. She is currently an ANZAP psychotherapy candidate. Jace worked within drug and alcohol centres for 14 years, where she designed and co-ordinated a 6 week residential rehabilitation program, with a focus on the treatment of complex trauma for women substance dependence. Jace has also co-ordinated a 12 month out-patient DBT program. Jace has worked in private practice on the North Shore and has run trainings to health services, NGO’s and within the Doctorate of Clinical Psychology program at the University of Sydney on treating trauma and on DBT. but will negotiate as per client needs. have a GP Mental Health Care plan. Cash, Cheque or direct banking transfer.